REVOLUTIONARY STANDALONE VERSION - Finally the VR Standalone version released. No more smartphone or PC required for a complete Virtual Reality Experience. The Headset comes with a Built in 5.5" Full HD 1080p Screen that will give you the incredible VR experience without having to attache your phone or PC to the VR headset. YOUR PORTABLE CINEMA - Enjoy your own portable IMAX cinema through WiFi and Bluetooth. Even more convenient than 3D viewing glasses. Watch 3D movies and play games with 360° virtual immersive experience while siting, standing, lying, at the comport of your home, office or while traveling. ADJUSTABLE FOCUS - Fully PD (Pupil Distance) Adjustable - The RtTech VR Glasses offers pupil distance adjustments with wide FOV to expand the viewing angle and perfectly match focal distance while taking care of your eyes. The Eye-protected lenses with unparalleled clarity will make your VR movies an ultimate experience. 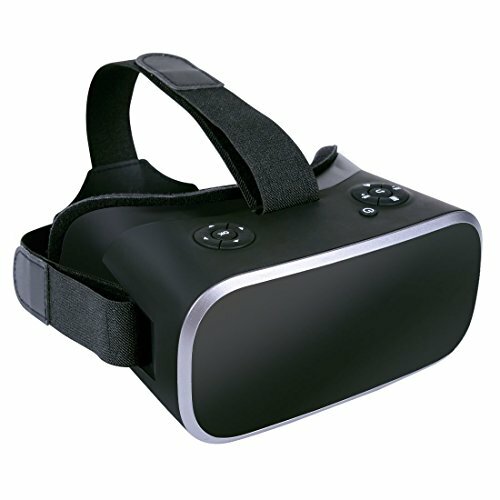 SUPER COMFORT - The RtTech VR Headset is fitted with a super comfortable and balanced Headstrap. The strap is adjustable so you can adjust the straps to get just the perfect fit, which will make you feel much more comfortable while enjoying movies and games.